I must admit: This is out of my comfort zone for sure! 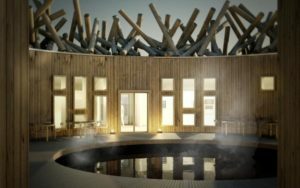 But, if you’re a lover of adventure and like the idea of an amazing experience, this is likely for you: the Arctic Bath Hotel coming to the Swedish Laplands later this year. 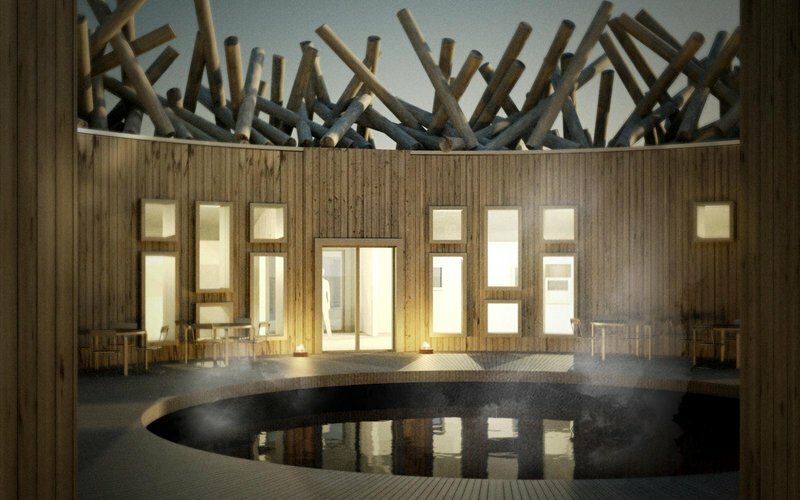 It’s a uniquely designed space, created by architects Bertil Harstrom and Johan Kauppi. 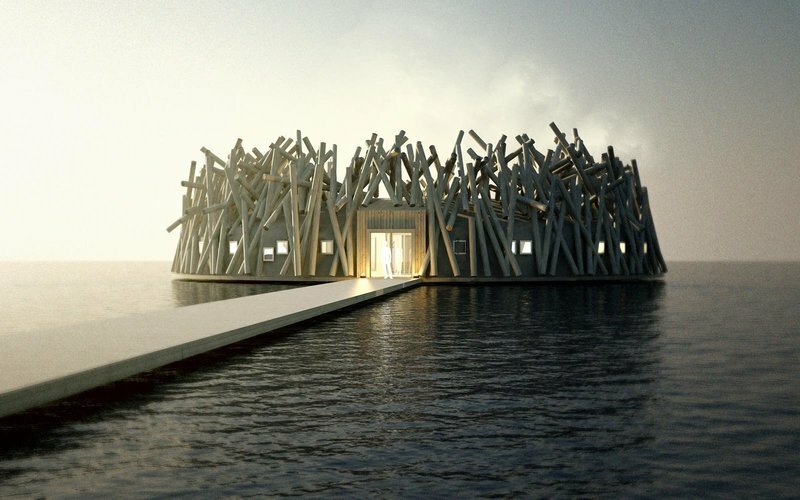 Built in a circular shape, the concept is to look like a jam of floating timber in the water. The design idea sprung from the days when Swedes would transport logs on the river. 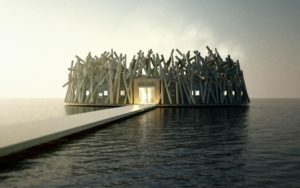 The hotel will freely float in the summertime, while the icy winters will freeze it in position. And, if you’re a fan of taking a sauna with a cold splash? This hotel is for you! In the center of the six luxury hotel rooms, you’ll find an opening to enjoy a cold dip in the water and sunbathe on the surrounding deck. Buildings will surround the deck that include the saunas, treatment rooms and will also feature a wonderful relaxation space. 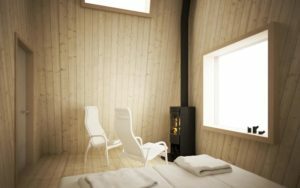 The Arctic Bath will float on the Lule River, not too far from the Arctic Circle. The water can dip as cold as -30◦ C (-22◦ F!!). WAY too cold for this guy—but you could take comfort in the fact that a sauna to warm up wouldn’t be far away. There isn’t a ton of info online yet to take a look at, but if you want to stay up to date, you can check out their site and also like their Facebook page. If you plan a trip there, we’d love a report (and pictures! ).